Over the past 12 years, Hobsons has partnered with nearly 7,500 K-12 institutions that utilize Naviance, the world’s leading college and career readiness platform. 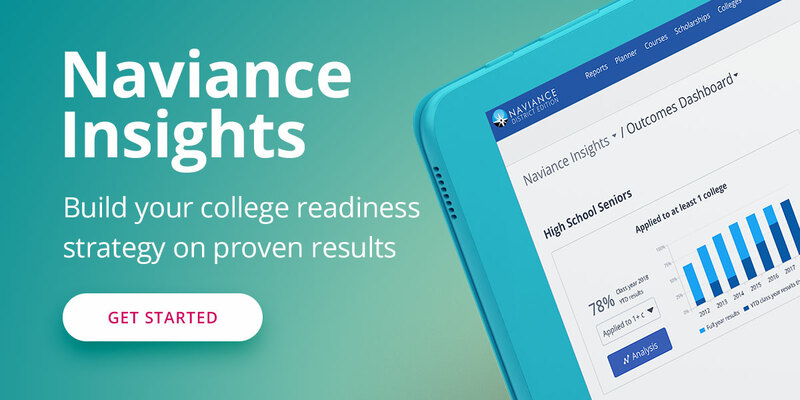 Naviance offers a suite of tools to help students address four critical areas of post-secondary success including self-discovery, career exploration, academic planning, and college and career preparation. These areas support the mission of Hobsons, which is to maximize student success and institutional effectiveness to create the world-changers of tomorrow. Hobsons has worked closely with school and district leaders across the country to address the gap that exists between college eligibility (students who graduate high school and are eligible for college) and college readiness (students who are prepared to take college-level courses). Hobsons also works to address the aspirations gap of students who aspire to attend college at an early age, but do not matriculate after high school. In partnership with schools and districts, Hobsons has helped to create strategic plans that foster a college-going culture, improve college eligibility amongst graduates, and rollout multi-year plans of study to increase academic rigor and ensure that every student is prepared to accomplish his or her post-secondary goals.